Last month, students in the A.C.T. 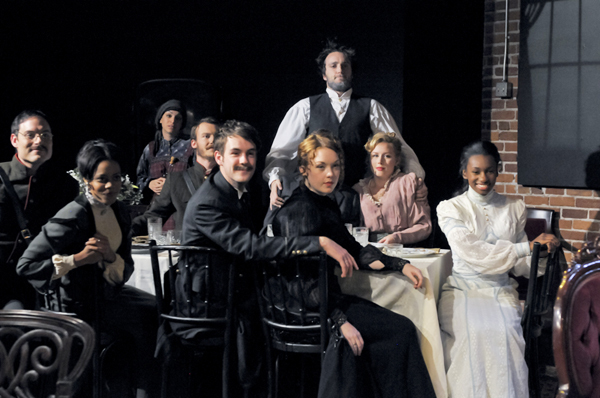 Master of Fine Arts Program classes of 2011 and 2012 took a dramatic step that would intimidate even the most experienced of actors: they publicly performed Chekhov. 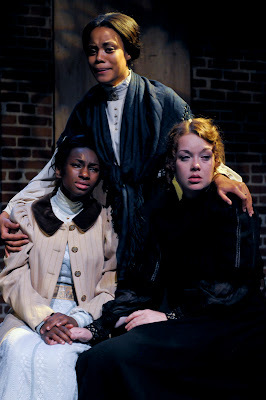 In The Three Sisters, Chekhov’s masterpiece about missed opportunities and dreams stifled by stagnation, the Prozorov sisters fervently dream of returning to the Moscow of their youth but somehow cannot manage to walk away from their small village and lives they cannot but see as dreadfully prosaic. Three Sisters director Marco Barricelli, former member of A.C.T.’s core acting company (he played Vershinin in Carey Perloff’s 2003 production) and currently artistic director of Shakespeare Santa Cruz, took on the challenge of helping these aspiring young actors—in their second and third years of A.C.T.’s three-year training program, respectively—tackle Chekhov’s iconic turn-of-the-20th-century tale of midlife misery. Below are excerpts from a conversation with Barricelli that took place just after rehearsals had begun. On the first day of rehearsal I told the cast: “Look, this is a mountain you’re never going to scale. You’ll never get to the top of this thing. Frankly, though, professional actors don’t ever scale this thing either; it’s about the journey, and the effort to get there.” I’m asking these students to imaginatively inhabit a frame of mind that they have very little connection to. I mean, these characters are stuck in a life they can’t break out of. All of the characters get to a certain point in the play—different points for each of them—when they say, “What happened to my life? How did I get here? This isn’t what I meant to do.” These kids [the M.F.A. 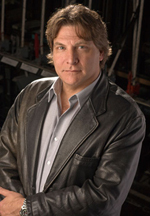 Program students] are still early in their trajectory; when you’re in a training program, one of the top training programs in the country, and Bill Irwin is working in the company, it’s exciting! Everything is possible. They’re all “going to be stars.” So getting them to make the imaginative leap to these characters is really my challenge. You have to have been slapped around a little in your life to get this play. For an actor, you have to get to that point where you realize, “Gee, I’m not going to be the next Laurence Olivier or Leonardo DiCaprio or whatever, so what am I? Is this really what I planned to do?” But they’re young. Christ, there’s a 21-year-old kid playing Chebutykin, who is 60. I mean, come on! My strategy for helping them do that? I’m going to be kind of . . . mean. [Laughter] Not in an arbitrary way. I told them yesterday, “You know, I’m really going to push you guys, because otherwise this is just bulls**t, all it is is a bunch of f**king acting M.F.A. students memorizing something that Chekhov wrote a hundred years ago and then getting up there and reciting it. That’s worthless. It’s got to cost you something, and you better put something on the line here, otherwise it’s a waste of time.” The point is for them to close this production just ever so slightly better actors than they were at our first read-through. If we can do that, then, okay, we’ve accomplished something. It’s a pedagogical experience for them. I’m using this play, which has a very unique force for actors, to teach them something about themselves as actors. It’s not even about them succeeding in their roles. It’s about: right now they can go from point A to point B, and maybe by the time we’re done with this process they’ll be able to go from A to B and a half. And that’s good. That’s what it’ll be. Olga (Christina Lorenn Elmore), and Masha (Jessica Kitchens).